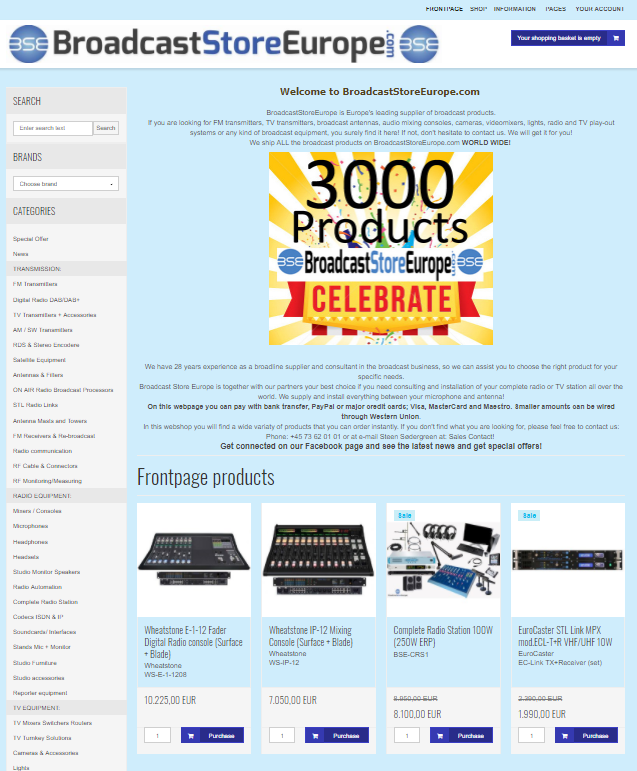 At Broadcast Europe we can provide you with 99% of all broadcast products on the market, when it comes to system sales and projects. Some of the products we provide, you will find in our web shop, we you can buy directly with credit card or bank wiring, with no hassle. For your project you might need products we do not display. Don’t worry, we can probably provide it anyway.